MATE 1.8 was released about 3 weeks ago, bringing various refinements and new features such as support for Metacity as window manager, side-by-side window tiling and more, as well as many bug fixes - for more information, see THIS article. MATE Desktop is a GNOME2 fork which lets you use the old GNOME 2 desktop interface and applications but it also allows you to use new applications so for instance, you can use Nautilus 3 with it and so on. 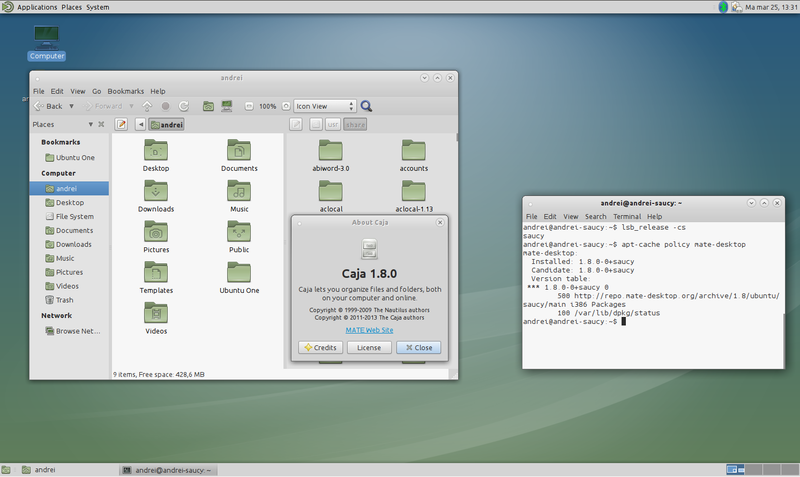 Also, MATE can be installed in parallel with GNOME 3, something that wasn't possible with the vanilla GNOME 2. Warning: do not use the instructions below if you're using Linux Mint (it might break your installation)! Once all the packages are installed, log out and select MATE from the login screen. 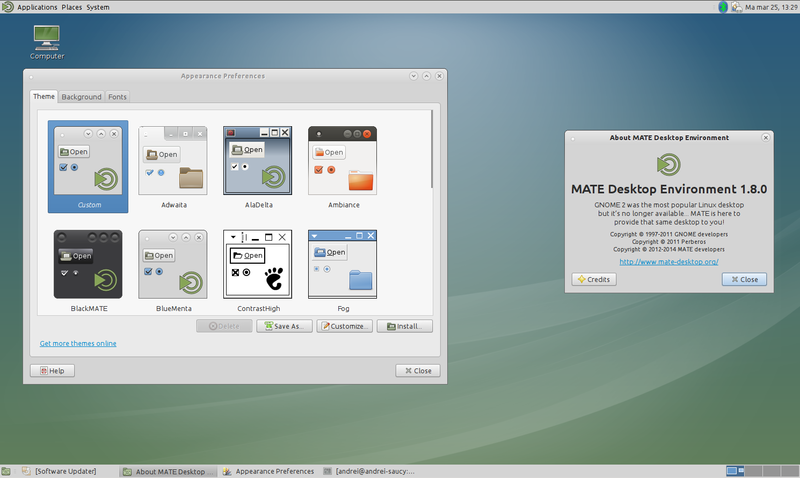 For how to install MATE Desktop in other Linux distributions, see the official MATE wiki.